The single pump basement pumping station is a fully automatic waste water pumping system suitable for pumping surface and/or ground water to a higher level when gravity drainage is not possible and/or economical to install. The system is suitable for installing either at the initial building stage or retro fitting to existing buildings. 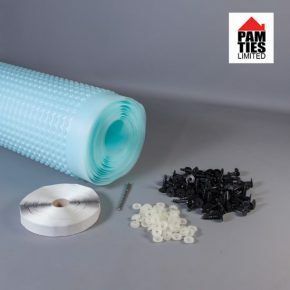 Perfect for cavity membrane systems or basement conversion projects but could also be used to accept waste from car parks, car washes, floor areas, downpipes, etc. This is our most popular basement pumping unit and features the same top quality pump in a basic 70 litre polyethylene sump chamber with walk-on lid. 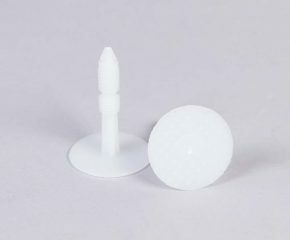 A 9v float switch alarm and full fitting kit are included. We would always consider a battery backup system and a regular maintenance programme to be best practice in all below ground waterproofing situations. FACT : Our basement pump can discharge 120 litres / min to a maximum head of 7 metres!